Big authors, big books!! 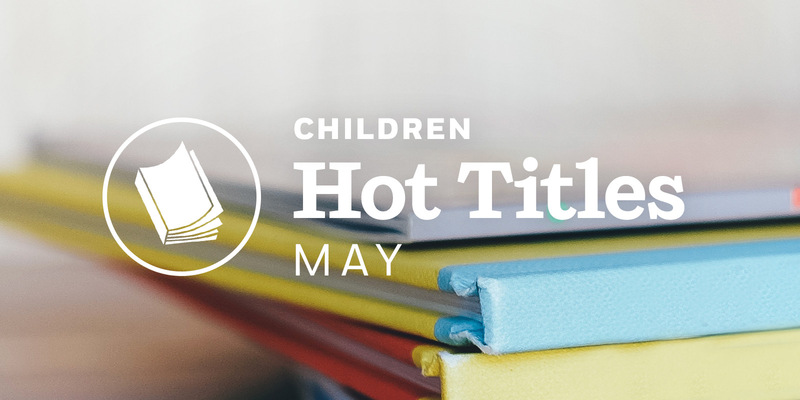 May brings many children and young adult titles you won’t want to miss! We have LIFEL1K3 by Jay Kristoff, the paperback editions of We Were Liars and City of Saints and Thieves, and a new middle grade series by Liane Moriarty. Check out everything below! OH and of course.. we now have I am a Kitten and I am a Puppy back in print. This tall board book, in the tradition of I am a Bunny and The Rooster Struts, is now back in print with adorable new illustrations! This tall board book, in the tradition of I am a Bunny and The Rooster Struts, is back in print with adorable new illustrations! The world's best-selling almanac for kids is back and in demand! This year's includes the latest information about what's new and newsy in our world, special dates to anticipate, fresh features, and much more. The finale you've all been waiting for: The Penderwicks at Last is the final, flawless installment in the modern classic series from National Book Award winner and New York Times bestselling author Jeanne Birdsall! A word book illustrated with images from the works of Dr. Seuss--starring Little Cats A - Z from The Cat in the Hat Comes Back! 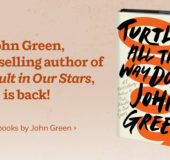 The New York Times bestseller John Green called "thrilling, beautiful, and . . . utterly unforgettable" is at long last available in paperback! Includes bonus content! 42 Weeks on the New York Times Bestseller List! Named a Best Book of the Year by NPR, Time, The Wall Street Journal, and The Boston Globe! Mayim Bialik, star of The Big Bang Theory and author of the #1 bestseller Girling Up, puts her Ph.D. to work to talk to teen boys about the science and pressures of growing up male in today's world. A must-have book for all teenage boys! From the coauthor of the New York Times bestselling Illuminae Files comes the first book in a new series that's part Romeo and Juliet, part Bladerunner 2049, and all adrenaline. A riveting, suspenseful ride that tracks two romantic relationships that quickly turn controlling. The characters don't know it yet, but their paths are on a collision course, from which not everyone will make it out alive. The first in a three-book outer space adventure series for young readers from the #1 New York Times bestselling author of Big Little Lies! The second in a three-book outer space adventure series for young readers from the #1 New York Times bestselling author of Big Little Lies! The third in a three-book outer space adventure series for young readers from the #1 New York Times bestselling author of Big Little Lies! A beloved Bright and Early Board Book by Dr. Seuss, now in a larger trim size! Everything students need to know to master the Math, Verbal, Analytical Writing, and Integrated Reasoning sections of the GMAT (Graduate Management Admission Test)--plus access to extra exams, drills, and practice in our Premium Portal online. Everything students need to know to master the Verbal Reasoning, Quantitative Reasoning, and Essay sections of the GRE (Graduate Record Examination)--plus access to extra tests, practice drills, guidance, and review in our Premium Portal online. Now available from the creators of the New York Times Best-Selling Who Was? series: a box set that celebrates the achievements of three of the brightest minds in history. A must-have board book for Anne of Green Gables fans, with charming, hand-embroidered illustrations. Violette Around the World, Vol. 1: My Head In the Clouds! Meet Violette, a curious 12-year-old girl who travels the world with the Cirque de la Lune--the Circus of the Moon, where her mother is the human cannonball and her father is the insect trainer! A hands-on introduction to coding that teaches you how to program bots to do cool things in the game you love--Minecraft! This book takes the robotic "turtle" method, and extends it to the 3D, interactive world of Minecraft. From one of France's most celebrated children's writers, the story of an "ugly duckling" who leaves his family to journey through a fantastical world. A tender and playful portrait of what it means to be unique. In spare, poignant, direct prose, I Hate Everyone paints a nuanced and honest portrait of the complex emotional lives of children. The first picture book in our Girls Who Code program, a lively and funny story that introduces kids to computer coding. The Girl with the Dragon Tattoo meets Gone Girl in this enthralling YA murder mystery set in Kenya. 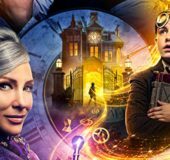 Universal Pictures recently released the second trailer for THE HOUSE WITH A CLOCK IN ITS WALLS, the movie adaptation of the classic John Bellairs novel starring Jack Black and Cate Blanchett.